Adidas is a well recognized sportswear company that manufactures sport shoes, clothing, and accessories. The popularity of the Adidas brand has been boosted in recent years by its sponsorship of major footballs teams such as Real Madrid and Manchester United as well as top tennis players including Andy Murray and Ana Ivanovic. With Big Apple Buddy’s personal shopping service, you can now buy direct from the online USA Adidas Store anytime, anywhere. Dress like a professional soccer player with Adidas’ jersey replicas. At the USA Adidas online store, you'll find jerseys from national football teams such as Spain, Argentina and Germany and top European soccer teams like AC Milan, Chelsea FC, FC Bayern. The short and long sleeved soccer jerseys feature climacool ventilation to keep you cool and dry during even the most intense games. Get a pair of Adidas signature sneakers to stand out from the crowd. 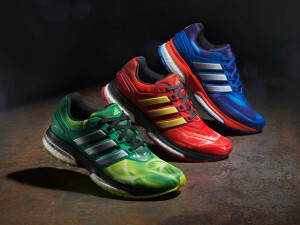 Popular Adidas kicks include the Adizero Prime Boost LTD, Superstar Wings and the Stan Smith Made in Germany shoes. Want to buy something a little more eccentric? Perhaps you need to add a pair of Shark Flame or Bones Fur shoes to your collection! Adidas combines comfort and high-performance technology with the Ultraboost Shoes that adapts to the changing shape of your foot as you run. Designed by professional athletes, the Adidas Z.N.E Hoodie 2.0 features a distraction-proof hood to help you stay focused. Train hard and stay cool in the Tiro 17 Training Pants featuring ventilated ClimaCool® and mesh inserts for maximum breathability. Enhance your workout experience with Adidas. Adidas also has a wide selection of apparel, ranging from tank tops for those sunny summer days to windbreaker jackets for the chillier nights. The very popular Fold-Over Tights by Stella McCartney offer a flattering fit while keeping you dry with its unique Climalite fabric. 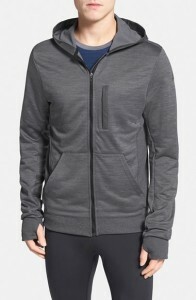 The highly sought after Beyond The Run Hoodie features an ergonomic fit for those cool weather runs. 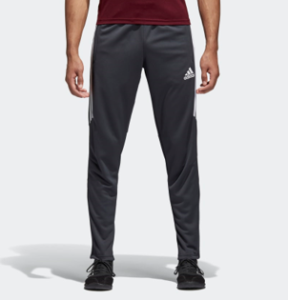 The online Adidas Store USA has by far the largest range of Adidas products in the world. Unfortunately, the online Adidas Store USA does not currently offer international shipping. Big Apple Buddy, your personal shopper, can however help you buy from the online USA Adidas Store and ship the items to your doorstep, regardless of where you live. If you would like to buy from the online Adidas Store USA, simply let us know what products you would like (by filling in the form below). We'll get back to you with a free international shipping quote within 24 hours!